Per the National Institutes of Health (NIH), nutrition is one of the most important modifiable factors involved in the maintenance of good health and proper function. Adequate levels of all micronutrients are essential for optimal physiological and neurological functioning, providing fundamental preventive care and supporting long-term wellness. B vitamins comprise a group of eight water soluble synergistic nutrients, often referred to as B-Complex vitamins. Although each B vitamin performs a unique essential role, all have closely interrelated cellular functions. B vitamins act as co-enzymes in a wide array of catabolic and anabolic enzymatic reactions, including brain function, energy production, DNA/RNA synthesis and repair, methylation and the synthesis of numerous neurochemicals and signaling molecules. B vitamins help to promote a healthy metabolism and are key components of certain coenzymes that turn the food we enjoy into energy we can use. B vitamins help to support adrenal function, help calm and maintain a healthy nervous system and support healthy digestion. The need for B vitamins is increased by stress, smoking, alcohol use, illness, and unhealthy diet. Because B vitamins work synergistically, a deficiency in one often signals a deficiency in another. In general, water soluble vitamins are not stored by the body and should be replaced at least every few days. 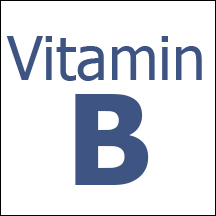 Since very little B vitamins are stored by the body, even those who enjoy a healthy balanced diet may have inadequate intake of certain B vitamins. Individuals whose diets lack sufficient whole foods or healthy proteins, as well as vegans and vegetarians, seniors and those with gastrointestinal disorders are most likely to be deficient in B vitamins. B1 Thiamine – Thiamine acts as a precursor for carbohydrate, fatty acid and branched chain amino acid metabolism. It plays a role in nerve transmission, muscle function, proper digestion, cognitive activity and brain function, and has a positive effect on energy, growth, normal appetite and learning capacity as well. As thiamine works synergistically with magnesium, high coffee and tea consumption, as well as low magnesium intake, can result in thiamine depletion. Thiamine can be found in meat, dairy, legumes, whole grains, nuts and seeds. B2 Riboflavin – Found in most animal and plant tissues, riboflavin supports growth and normal adrenal and cellular function. It helps to calm and maintain a healthy nervous system and facilitates key metabolic processes, such as energy production. Riboflavin acts as an antioxidant helping to control free radical proliferation, thereby supporting healthy aging. Seniors, those who are chronically ill, individuals who take birth control pills or consume alcohol in excess are particularly susceptible to deficiencies. Thiamine can be found in dairy foods, meats, fish, poultry and dark green vegetables. B3 Niacin – Essential for proper circulation, healthy skin and the metabolism of carbohydrates, proteins and fats, niacin is involved in hormone synthesis and the normal secretion of digestive fluids. Niacin, or nicotinic acid, supports healthy cholesterol levels and healthy circulation, as well as healthy cognitive and memory function. Niacin is found naturally in oily fish, whole grains, leafy vegetables, legumes, mushrooms and nuts. B5 Pantothenic Acid – Vital for metabolism of proteins, carbohydrates and fats, pantothenic acid is known as the “anti-stress” vitamin for the vital role it plays in adrenal function. Required by all bodily cells, pantothenic acid is involved in many necessary metabolic functions, including vitamin utilization, energy production and maintenance of healthy mood. Pantothenic acid is found in small amounts in whole grains, eggs, meats, legumes and avocados. B6 Pyridoxine – This possibly lesser known but vitally important nutrient affects both physical and mental wellbeing. It is necessary for absorption of fats and proteins, red blood cell formation and fluid balance. Pyridoxine is required for proper brain and nervous system function, normal cellular growth, enzyme activation and DNA/RNA synthesis. Good sources of pyridoxine can be found in brewer’s yeast, legumes, dairy, sunflower seeds and spinach. B7 Biotin – A necessary cofactor for enzymatic processes, biotin aids in the utilization of other B vitamins and supports a healthy intestinal tract and proper blood glucose levels, as well as healthy nerve tissue, bone marrow, skin, hair and nails. Biotin aids cell growth and the metabolism of carbohydrates, proteins and fats and may be helpful in decreasing insulin resistance and improving glucose tolerance. Foods rich in biotin include organ meats, diary, egg yolks, soy, wheat bran, mushrooms, nuts and potatoes. B9 Folate – Folate is essential for human growth and development, healthy cell division, and normal nerve and brain functioning. It is also vital for DNA/RNA synthesis, energy production, red and white blood cell formation and proper immune function. Folate is important for the regulation of healthy homocysteine levels, embryonic and fetal nerve cell development, and may also aid healthy mood, address anxiety and slow memory decline associated with aging. Fortified foods, legumes, melons, asparagus, spinach, green vegetables and bananas are good sources of folate. B12 Methylcobalamin – B12 is a complex of essential biological compounds known as cobalamins. Highly absorbable methylcobalamin is active in the growth and protection of the nervous system and the neurological deterioration associated with aging. It is essential for protein synthesis necessary for healthy cardiovascular function, the development and maintenance of red blood cells, iron utilization, healthy sleep, and the production of neurotransmitters involved in memory and learning. B12 is required for proper digestion and absorption of foods, and aids in cell formation, cellular longevity, the production of DNA and RNA as well as the protection of normal myelination (covering) of nerve cells. B vitamins work individually, as a group and in concert with other vitamins, minerals and micronutrients. When supplementing, most individuals should consider the full range of B vitamins found in a complex. B vitamins play a vital role in the maintenance of good physical and mental health and wellbeing. As the building blocks of a healthy body, B vitamins directly impact energy levels, brain, cardiac, cellular, muscle and nerve function, hormone production, digestion and absorption of nutrients and healthy cell metabolism. Professional Supplement Center has developed a highly effective B vitamin complex. In fact, we believe it’s the only B vitamin you’ll ever need. B Spectrum by Professional Supplement Center®: ON SALE This non-GMO synergistic formulation provides the full complement of activated B vitamins in support of adrenal, neurological, cardiovascular and stress-related functions as well as healthy mood. Free of wheat, gluten, corn, yeast, soy, animal and dairy products, fish, shellfish, peanuts, tree nuts, eggs and artificial colors, sweeteners, and preservatives. This entry was posted in Home and tagged B Spectrum by Professional Supplement Center, Be Your Best with Vitamin B, Professional Supplement Center, vitamin B, Vitamins and supplements, www.professionalsupplementcenter.com. Bookmark the permalink.